If seeing the Northern or Southern Lights hasn’t been crossed off your bucket list yet, this video is the next best thing to seeing the aurora live. 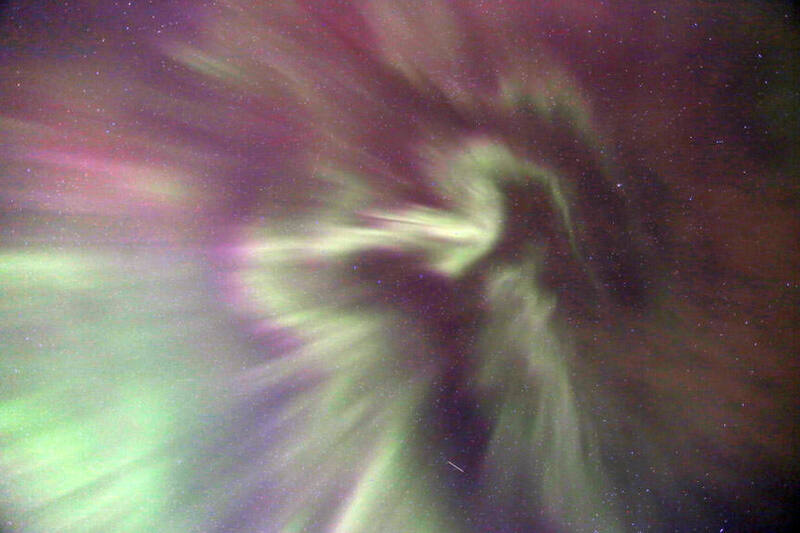 Astrophotographer extraordinaire Thierry Legault has captured spectacular views of the Aurora Borealis from Norway, filmed in real time. Legault used a Sony Alpha 7s, which he says is the only camera able to record video like this in such lighting. The video is recorded at 25 frames a second. For the best view of the video, switch to full HD mode (1080p) and full screen. Legault has been going to Norway annually to see the aurora. Here are the views he captured last year. See more of Legault’s work at his website. He has technical pages there with advice for capturing the night sky. He provides more details and tips in his excellent book, Astrophotography. Martian auroras will never best the visual splendor of those we see on Earth, but have no doubt. The Red Planet still has what it takes to throw an auroral bash. Witness the latest news from NASA’s MAVEN atmospheric probe. In December 2014, it detected widespread auroras across Mars’ northern hemisphere dubbed the “Christmas Lights”. If a similar display happened on Earth, northern lights would have been visible from as far south as Florida. Study the map and you’ll see the purple arcs extend to south of 30° north latitude. So what would Martian auroras look like to the human eye? Would we see an arcade of nested arcs if we faced east or west from 30°N? Well, er, yes, if you could see into the ultraviolet end of the spectrum. Mars’ atmosphere is composed mostly of carbon dioxide, so most of the auroral emissions occur when high speed solar wind particles ionize CO2 molecules and carbon monoxide to produce UV light. Perhaps properly suited-up bees, which can see ultraviolet, would be abuzz at the sight. That’s not the end of the story however. Martian air does contain 0.13% oxygen, the element that puts the green and red in Earth’s auroras. The “Christmas Lights” penetrated deeply into Mars’ atmosphere, reaching an altitude of just 62 miles (100 km) above its surface. Here, the air is relatively thicker and richer in oxygen than higher up, so maybe, just maybe Christmas came in green wrapping. Nick Schneider, who leads MAVEN’s Imaging Ultraviolet Spectrograph (IUVS) instrument team, isn’t certain but thinks it’s possible that a diffuse green glow could appear in Mars’ sky during particularly energetic solar storms. Earth’s magnetosphere, an area of space that’s controlled by the planet’s magnetic field, guides solar wind electrons and protons along magnetic field lines into the atmosphere in the polar regions to create auroras. The planet’s field is created by electric currents generated in its outer nickel-iron core. While the solar wind produces auroras at both Earth and Mars, they originate in radically different ways. 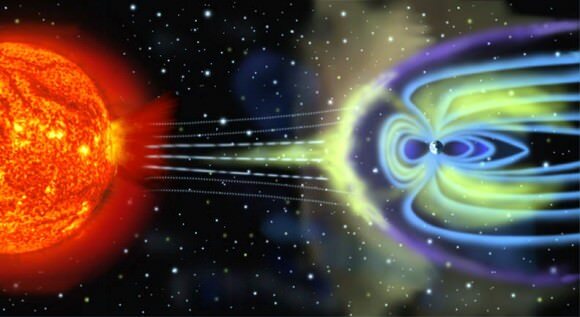 At Earth, we’re ensconced in a protective planet-wide magnetic field. Charged particles from the Sun are guided to the Earth’s poles by following a multi-lane freeway of global magnetic field lines. Mars has no such organized, planet-wide field. Instead, there are many locally magnetic regions. Particles arriving from the Sun go where the magnetism takes them. 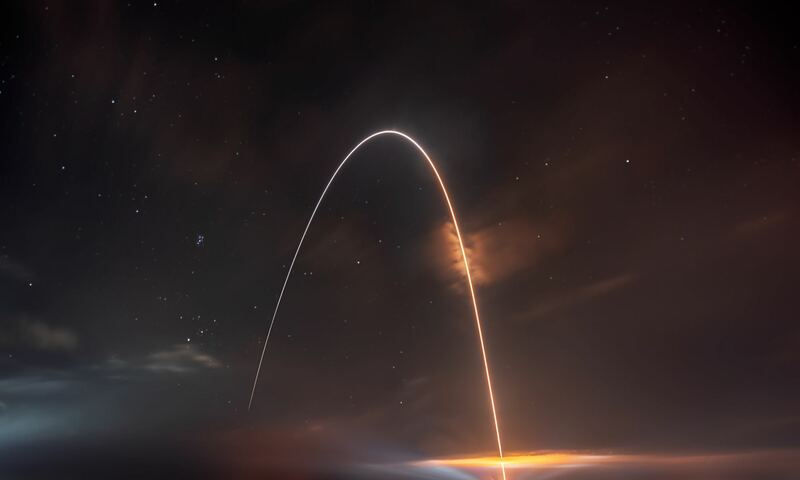 Maybe one day, NASA or one of the other space agencies will send a lander with a camera that can shoot long time exposures at night. We’ll call it the “Go Green” initiative.